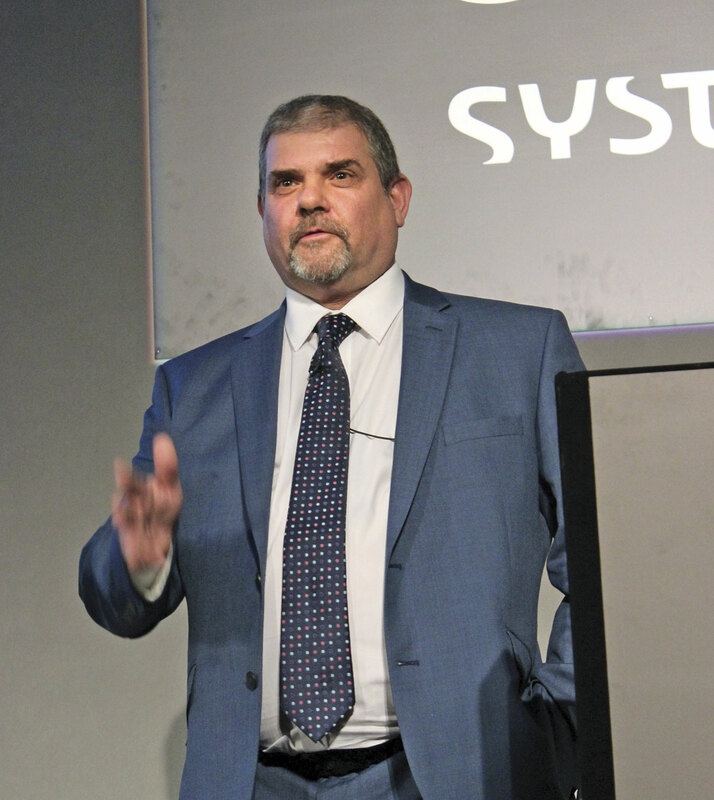 Last year’s inaugural UK Bus Summit, organised by Transport Times, was the best of a number of conferences addressing the key issues facing the bus industry, attracting a stellar array of speakers from all sides of the debate. 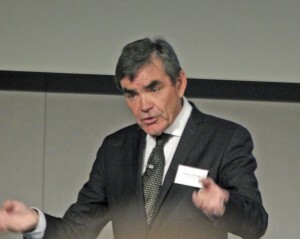 This year’s Summit, held at the QEII Centre opposite Westminster Abbey, was only slightly less impressive in its cast (in that there was less senior ministerial presence from the devolved Governments of Scotland, Wales and Northern Ireland) but nevertheless provided a highly informed debate, for the most part under the astute chairmanship of Professor David Begg. Delivering the keynote address was Andrew Jones MP, Parliamentary Under Secretary of State for Transport, and there was considerable anticipation about what light he would shed on the content of the forthcoming Buses Bill, the more so as he had given very little away at the recent CPT Annual Dinner event. Listing what the bill would include he began with open data, to address passengers’ need for better information. ‘Our proposal is that all operators will be required to make data about routes, fares and times open and accessible. It will allow app makers to develop products that passengers can use to plan their journeys, and give people the confidence to leave the car at home and take the bus instead’ he said. 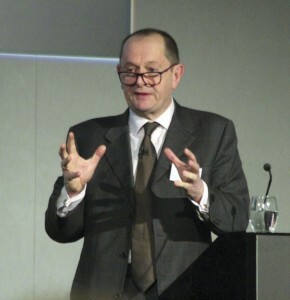 He wanted to keep the good parts of the quality contract scheme process, ‘which at least forces people to think things through properly, but wanted to lose the parts which don’t work, such as the excessive cost, the bureaucracy and the second-guessing.’ The decision to take up the powers will be for local areas to make and they would need clear arrangements for ensuring they were used accountably, that they had the capability to meet their promises to passengers, and the system did not disadvantage bus services that cross local authority boundaries. Operators would need to play their part too. He stressed, ‘We certainly do not foresee a one-size-fits-all approach in every area. A question session followed, in which he was asked whether he would champion bus priority? He replied that he wanted to see bus patronage thrive but ‘congestion is going to be around. I have no doubt bus priority does help but it’s going to be a local decision.’ This was the more disappointing because, in a poll asking delegates what they thought was the biggest challenge facing bus patronage growth, the most popular answer was congestion. It may also explain why another popular answer was the minister. Described by David Begg as ‘the most radical politician in the UK when it comes to achieving sustainable transport goals’ and a trailblazer for everything that is good about politicians trying to change the way that people travel’ George Ferguson has made tough decisions about parking restraint and serious bus priority. He is an entrepreneur and knows how to organise an event in a brewery. He stood as an independent because, ‘radical change is difficult in a democracy.’ ‘Politicians are always looking over their shoulders for what is popular, not what is necessary,’ he said. A Bristol resident for 50 years, he has watched, ‘our streets being turned into car parks instead of play spaces.’ ‘It’s not acceptable,’ he said, ‘I don’t accept that congestion is inevitable. We have to have a radical change in the way we run our cities, a radical change that enables our children to grow up in the centre of the city as healthily as they would on a farm in the Mendips. ‘It isn’t all about stick, politicians don’t like stick, they like carrots too, and what we need to do is balance tough action with better bus services’, he said. Bristol spent £75m on bus priority between 2008-12 and, ‘We’re just starting the £200m Metrobus BRT system that I like to sell as the trackless tram because, although we were one of the cities that started with trams, in truth we know the future lies with buses that have huge advantages in flexibility and accessibility, so I have absolutely no doubt that we have to invest further in buses.’ He added, ‘I’ve no doubt we get better buses through better relationships’. There were 12 operators though First dominated and Tim O’Toole had been ‘magnificent’. Money had been spent on cleaner buses and the aim was to get all buses to Euro6. The Transport Minister had earlier been asked whether he would rather spend money on the over 65 fare concessions or one for under 25s and had opted for the over 65 because it was a manifesto pledge. George’s answer would have been to give free travel to over 70s and under 20s! Back in the 1980s it had been clear that where a socially necessary service wasn’t being provided commercially the local authority had paid for it, but over the years it had become more complicated. Local authority funding was so seriously constrained that it had become difficult for Local Authorities in terms of resources including human resources. It was leading to difficulties in rural areas and also in urban ones. There were some great initiatives, but there were whole areas struggling, where viability was hovering on the brink of whether it was possible to do, where the private sector’s cost of capital was hardly being rewarded by the return on the service provided and also there is the persistent complaint from the commercial sector that you are under rewarded for carrying concessionary pass holders. It seemed to him that the commercial bus industry has had to start gaiming the systems more than being commercially focused on increasing ridership. Things such as the deregistering of services on the edges in order to try and win them back on tender. All that effort was really wasted when what we ought to be doing was working hard to grow real patronage and revenue. He felt the biggest threat to the bus industry was market disruption by technology in the form of Uber and similar schemes. When he came into office, there had been 57,000 taxis in London, now there were 100,000. Uber was cheap, on demand, at any time of day, personal, using a modern air conditioned car that was often working for 50 out of 60 minutes in an hour and now they were starting to do parcels. That capacity for personal mobility is coming down the road now. ‘Young people today leave home with a mobile phone and a debit card, the bus industry will have to rise to that challenge’, he said. He believed the rural market would be completely redefined. In conclusion Leon said that autonomous cars were almost with us. He predicted we’d be surprised by the speed with which they would come in. He also asked whether they would come from the major car manufacturers? In the absence of the Northern Irish Transport Minister, who sent her apologies, Ciaran ran through some of the developments in Northern Ireland where Belfast was now a modern vibrant city. The country had a high car dependency and that was no longer sustainable. It was trying to give people a choice. Alongside this there was also a need to invest in Northern Ireland’s road infrastructure which was still quite poor. During the troubles, people had moved out of the city centre to the suburbs and they were trying to attract them back. In 2011 they had embarked on the ambitious and controversial Belfast on the Move project. The ambition was to create a safer city by removing through traffic from the city centre and giving the space over to pedestrians, cyclists and public transport. Prior to the scheme, 60% of traffic used the city centre as a short cut. A variety of measures were introduced with priority lanes for pubic transport. As a result, the number of people going into the centre of the city had increased while the amount of traffic had decreased by a third. There had been modal shift with 47% arriving by car rather than 53% previously and more people cycling walking and using public transport. The number of park and ride sites had been increased with 1000 extra places and 85% occupancy. 500 extra park and ride places equated to reducing the length of cars on the road by 3km. £75m had been spent on new buses and £200m on rail in the last five years. The success was paving the way for the new £100m Belfast Rapid Transit System which had to be as good if not better than a light rail system. It was important that funding was in place for the next three years. About 70% of the priority schemes were in place which was showing major benefits for existing bus services. New routes put in had less stops because people wanted better journey times. The vehicles for the BRT had been ordered. They were 18m articulated hybrid diesel electric buses with three sets of double doors, no on board ticketing. They should be operational in 2017/2018. Other transport projects included better integration with other services to provide synergies. They also wanted to go to a cashless ticketing system as soon as possible. Chaired by Norman Baker, Chair of Bus Users UK, the second session of the day brought together widespread interests to look at the issue. 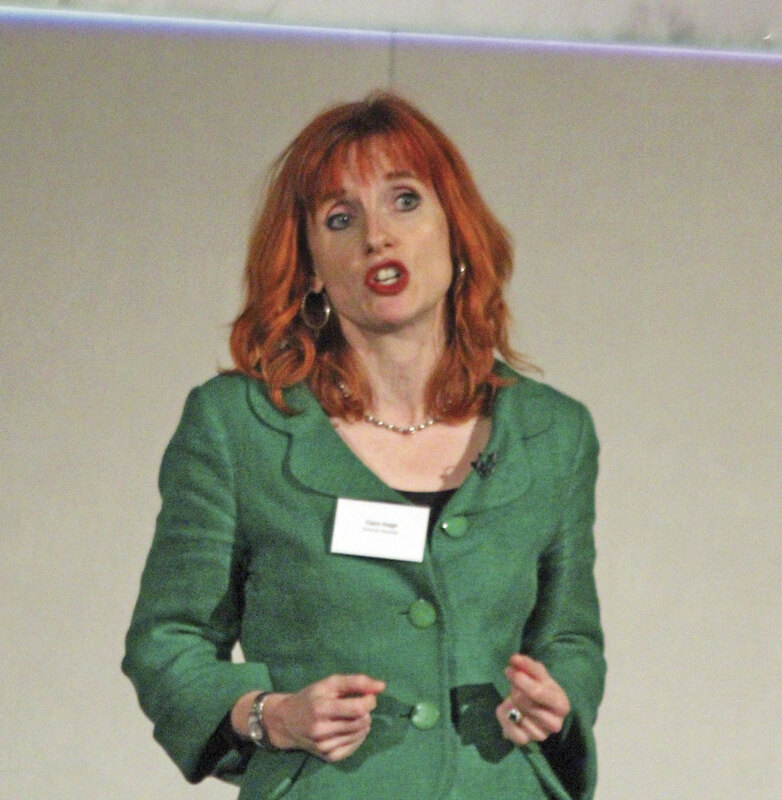 Claire Haigh, Chief Executive, Greener Journeys noted that following the recent COP21 event it was assured the future of transport would be a greener one. She made well rehearsed points about the economic contribution of the bus, concluding that policy should not be made on economic factors alone, however strong they were, but on whether it improved life chances among other factors. Her team was working hard to understand the social impact of the bus and when work on this was complete was confident there would be a comprehensive and unimpeachable suite of tools available to make the case. 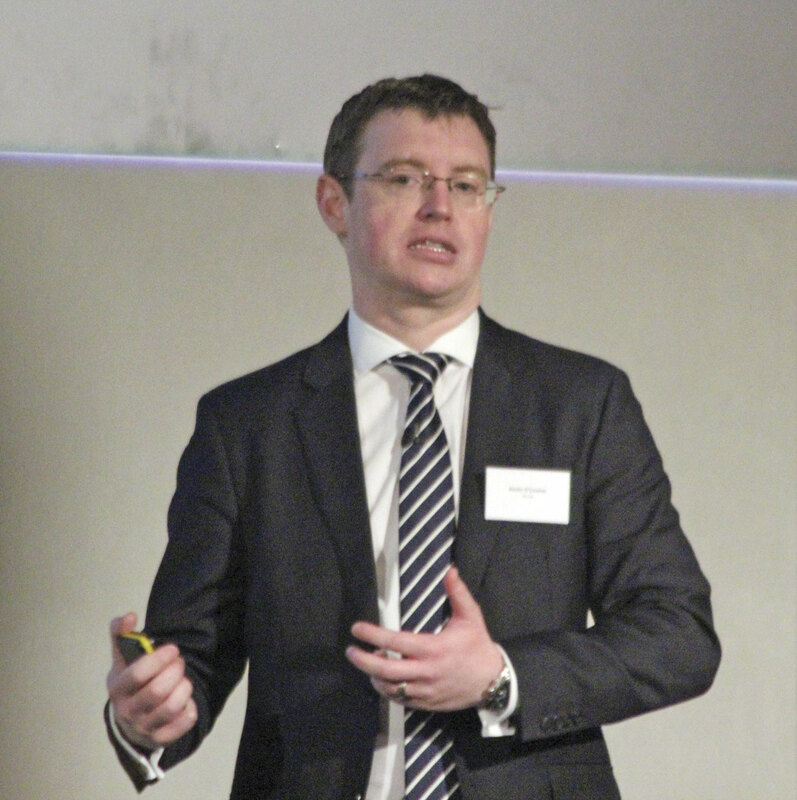 Anthony Smith, Chief Executive of Transport Focus talked about passenger trust in the bus. Inconsistency was the key reducer of trust, he said, listing better value for money from bus journeys and more buses arriving on time as the top priorities for users. 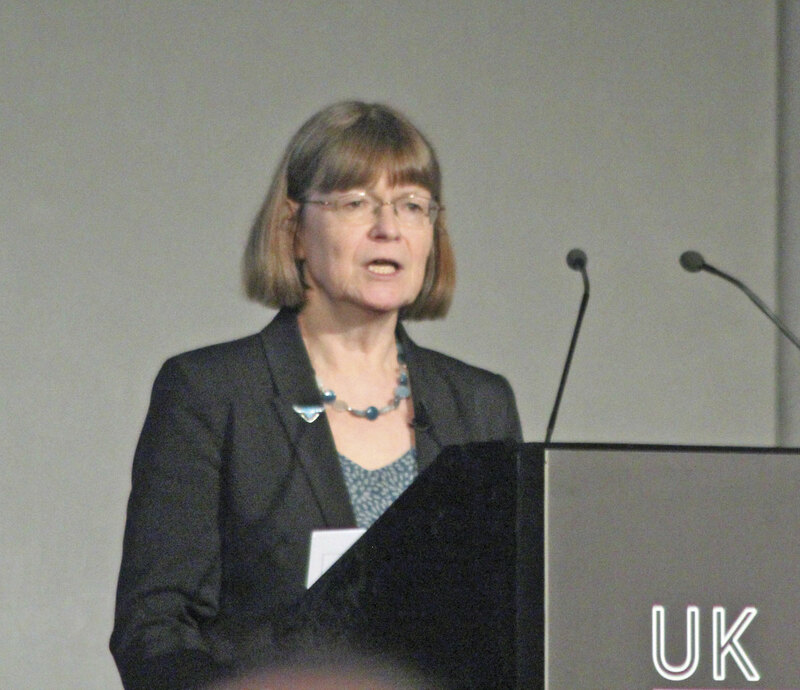 Hilary Chipping, Acting Chief Executive of South East Midlands Local Enterprise Partnership, said that in her area 69% of the community commuted by car and only 5% by bus. She concluded that there was a big gap between the latest technology and customer experience and something more needed to be done, now. LEPs shared bus operator’s aims believing they were good for economy and good for growth, urging operators to work more closely with their local LEPs. Kevin O’Connor, Managing Director of Arriva UK Bus, said there was no silver bullet for driving growth, there were different customer needs in different sectors. He was quite optimistic about attracting more non-users on board, especially those who had not travelled for ten years or more. He said the biggest fear for such passengers was loss of control. Arriva was obsessed with overcoming the barriers to bus use, a process that needed to be data led based on understanding what is going to drive growth. Liz Chandler, Director of Corporate Development for Merseytravel saw the bus as pivotal to the economic policy agenda, though she also said that Merseytravel was becoming more multi modal in approach. Pointing out that only 10% of commuter journeys in Liverpool City region were by bus, there was a need to ‘change the way we do bus’ within it. She said that passengers needed to be considered when drawing up networks. There was a strong history of partnership in the city in the last two years with operators investing £50m, the introduction of the Walrus smart ticketing scheme and investment in young people with concessions up to the age of 19, resulting in growth. An alliance for growth was being set up with a 10% fare paying passenger increase sought by May 2017. Chaired by Professor David Begg, the third session of the day looked at the bus itself and what was needed from it in the future. 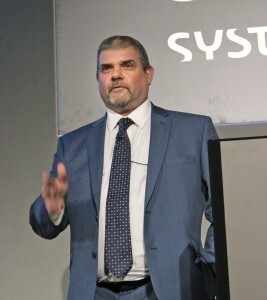 The message of Andy’s presentation was that the bus of the future is here now. They needed low carbon energy to power them, they needed to be high efficiency vehicles in space and weight as well as power terms and their emissions needed to be clean and low. It was important to understand how far we had already come, because 20 years ago when the industry started the road to real world testing a London Routemaster was 1,000 times more polluting than the best buses tested in the last few months. It wasn’t just a London issue, with the help of the Green Bus fund there were over 3,500 low emission buses running across the UK. Currently, 25% of buses sold were low emission vehicles compared with 1% of cars. His aim was to see 100% of buses low emission and he felt that when that happened we would have achieved the bus of the future. 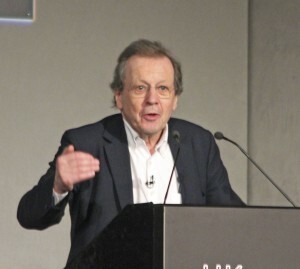 Looking in particular at Bristol, where ‘we were in an absolute mess and had been for some years,’ Giles told how working alongside an elected mayor who had come in with a clear mandate, had given the company confidence and courage to take risks and accelerate five or six years’ investment into a year. Noting that Bristol was consistently the first or second worst city for congestion in the country he said the Mayor had stuck to his agenda, which the company shared, and had held the company to account. A fleet of 56 Euro6 double deckers had entered service in recent months, there were two virtual electrics attracting interest and the success of the ‘Poo-bus’ had resulted in a bid being made to acquire 110 more. There was still more to do, especially with Apps but already 70,000 more passengers a week were being carried compared with five years ago, and that figure would be higher were it not for the congestion being caused by the works required to put in the ‘tram’ infrastructure. 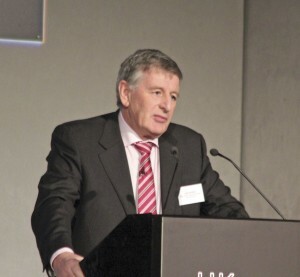 Ken said that a modern bus was both a workhorse and a thoroughbred, detailing the many expectations operators, customers and politicians had of it and how these modern buses were meeting them with low and zero emission capabilities, an enhanced passenger experience, lighter weight and greater reliability. 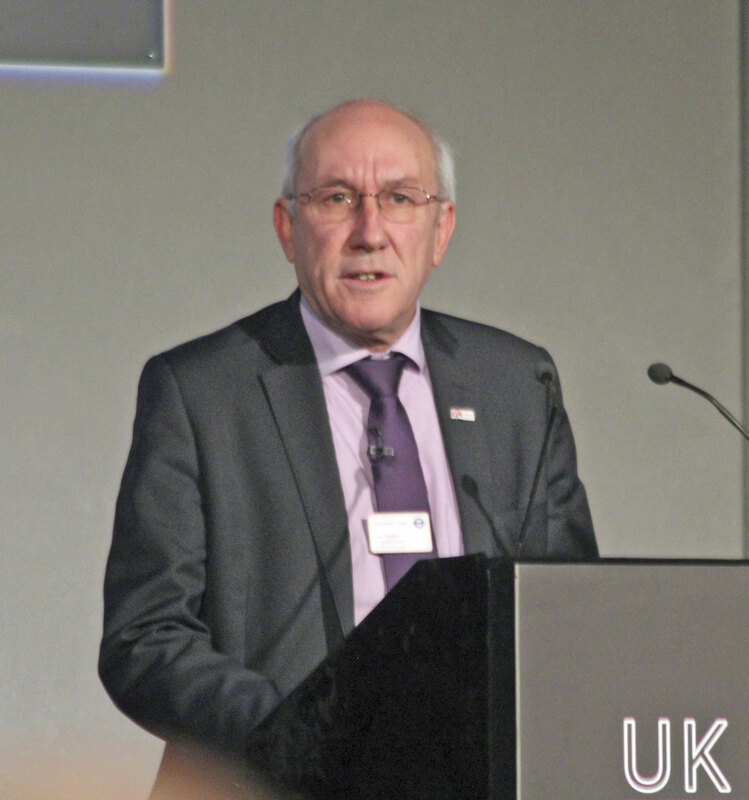 He saw two challenges for the future: how to balance the need for pioneering drivelines and lightweight materials with attractive vehicles and journey pricing; and how to better integrate with local authorities to prioritise and incentive the bus over other modes? 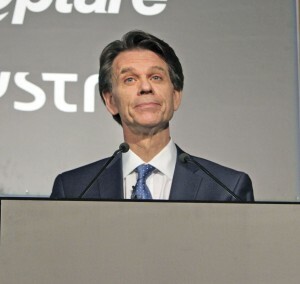 Alastair said Optare was ‘thinking differently,’ echoing many of the same points Ken had made about balancing passenger and operator expectations with technology and sustainability needs. It was increasingly about managing energy now. The company was seeing much higher demand for differentiation in its products. With the MetroDecker Optare, it was striving to produce a bullet proof product. To be a thoroughbred, a bus had to encompass passenger needs, strike a balance between capital and operational costs and be fully supported by Government frameworks for OEMs, operators and passengers. In the ensuing question and answer session, the manufacturers were asked when they would be manufacturing driverless buses. Ken said, ‘sooner than you think. Perhaps as soon as 2020 they would be built, not necessarily running that way in the street, but within depots. Alastair agreed saying the technology was there now. Andy added that, whilst you could make one now, he thought taking the driver/conductor out of the loop was dangerous. Potentially the most volatile of the sessions, in practice the key arguments had all been heard already and one wondered what more could be said. Talking of road congestion strangling major cities with near gridlock at peak times, he said congestion was up 40% in Manchester in one year. Passengers and staff were suffering and it was costing an additional £7m a year just to keep the buses there on the road. Congestion and roadworks in London were undoubtedly behind passenger decline there. ‘We need more coordinated action. For too long there has been a lack of political will… Continuing reluctance to face up to that responsibility risks further damage to public transport networks. We have to change it. It’s not just roadworks, it’s road space, there must be clear policy direction from government to the country’s agencies with responsibility for transport and roads,’ he said stressing that proper bus measures were needed and calling for a more integrated approach including parking and land use. Operators were doing their part but the same transparency, detail and non-negotiable commitment was needed from central and local government partners on action over congestion and pro-bus investment if we are to capitalise on the power of buses to help drive local economies. ‘Structures and ideologies wouldn’t do it.’ Many local economies were still in the shadow of recession. 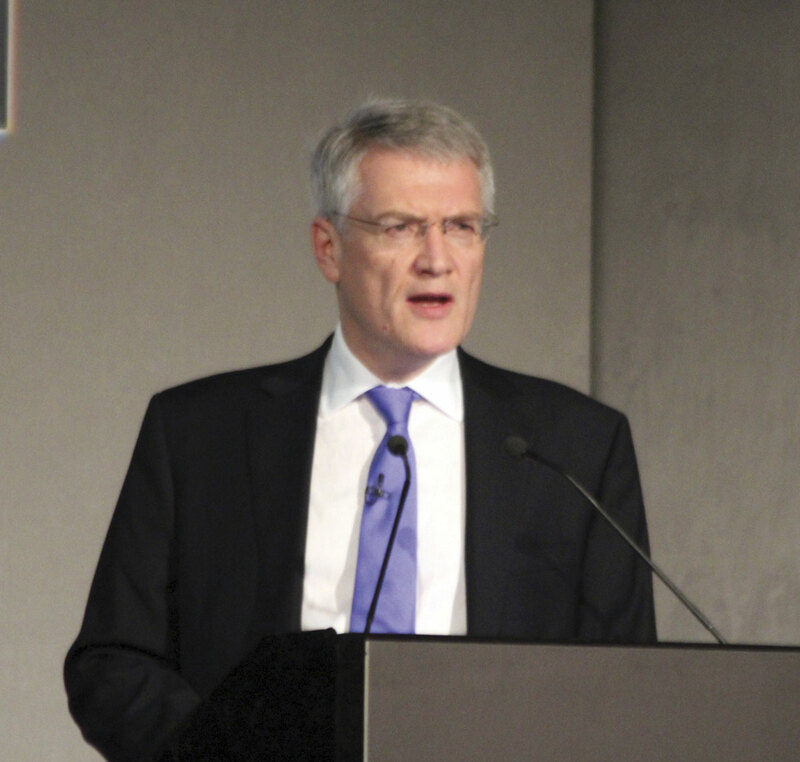 Jon said that all operators were finding congestion increasingly difficult. There were many causes for this including tramworks, a sink hole that had appeared and bus priority measures going in. Some of it was on the back of a growing economy, so the opportunity was there too. Bus priority measures were not universally welcomed and good evidence was needed to back up their adoption. TfGM believed in buses and was investing, citing bus interchanges at Rochdale, Wythenshawe and Bolton. ‘It’s bigger than just how to run buses,’ he said. Tackling ‘the world beyond the buses bill’ Jon said that we had to think about objectives. The organisation already knew a lot about issuing franchises with 20% of the network (by mileage) contracted, but would learn more. There were plenty of other issues that needed thinking about, including small operators, which had declined in number from eight to two locally between 2009 and 2014. We needed to think about how to deal with cross border services, which needed considering individually. David didn’t talk about the buses bill or congestion, though he mentioned that the average speed of the TfL no 11 bus route was down to 4mph, instead focusing on the future of city transport (rural mobility was ‘a whole different case’). A constant theme between the past and the future was partnership between the private sector and the public sector and he believed it was the only way that city regions could work going into the future. In the future there would be the need for investment. Some of it would be large, risky and long term and here the private sector was needed because of its access to markets, it could move more swiftly than bureaucratic processes and could deliver. An argument not often heard these days is that Dr Beeching’s rail reforms of the 1960s enabled the railways to concentrate on key routes and has led to the growth we have seen in recent years, but that was the gist of Neill’s presentation. He said that a flaw in Beeching’s proposals was that he failed to see the impact of some minor lines on the vibrancy of the network as a whole. Public funds were tight but if we chose to reprioritise the spending of what there was, we could find the funds to protect bus services, whether they were urban, rural or somewhere in between. We needed to ensure that whatever was made available, funders were assured that their money would be well spent. He quoted a recent KPMG report that said if an authority wanted a service where funding through the farebox was insufficient to support it ‘additional taxpayer funding was inevitable’. A wider debate was needed about how we supported public transport revenue and not simply capital expenditure. He had a real concern that what might slip through the gaps was not the provision of rural transport or transport in big cities but public transport in some of the smaller towns. If the current projections for bus decline outside London continued at the same rate, the last passenger to be carried by bus would be on his 60th birthday on 24 December 2029. Prefacing his talk with a slide saying, ‘Keep calm and focus on priorities,’ Jeff said that, hopefully, all sides wanted the same thing and we needed to work together to tackle the one common competitive enemy, which was still the car and congestion. Everybody saw their priorities slightly differently. He said local authorities had talked about price, but that was not the same as value for money and customers wanted value for money. The top four customer priorities were punctuality, customer service, cleanliness and comfortable seats and those four, together with price (seventh on the list) constituted value for money. If you provided that, people would ride on your services. People did want other things such as integration, simplified ticketing, contactless payment, realtime information, better transport planning and attention to environmental issues, but these were not their priorities. Jeff was full of praise for his local authority saying how well partnerships in his area worked. He believed the future lay in partnership working. Among the things partnership had already achieved were: 7.7% growth in bus patronage in greater Nottingham since 2005; 9% growth in Nottingham city; 93% customer satisfaction; Nottingham having the highest per capita public transport usage in the UK; the most comprehensive network in any city outside London and a fully operational multi-operator, multi-modal ticket system. 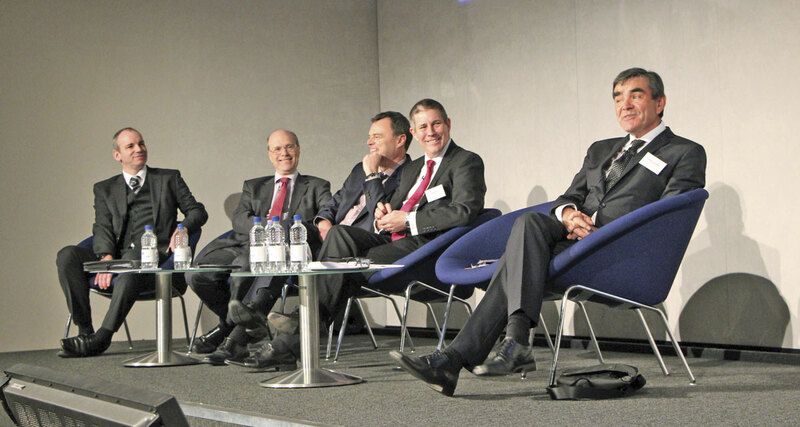 The headline sponsors of the event were Alexander Dennis Ltd, Optare and Systra. 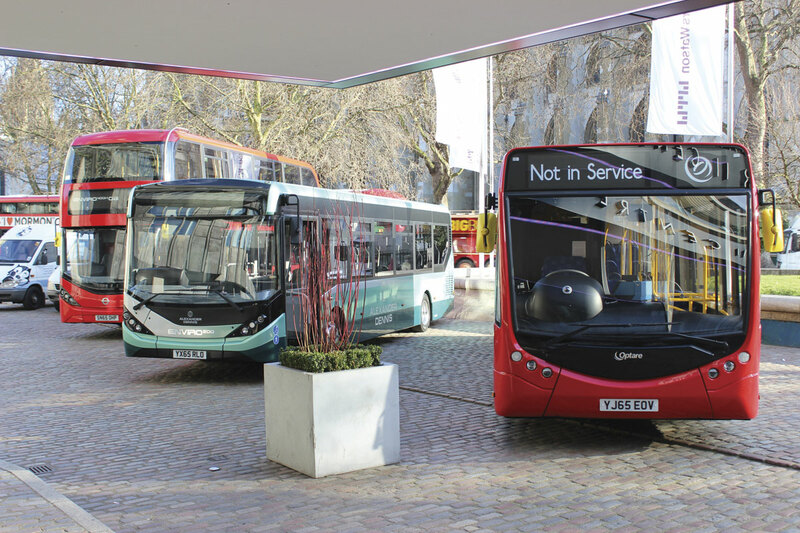 ADL displayed examples of the Envrio200 and the latest Enviro400 City outside the QEII Centre while Optare exhibited a two door MetroCity. 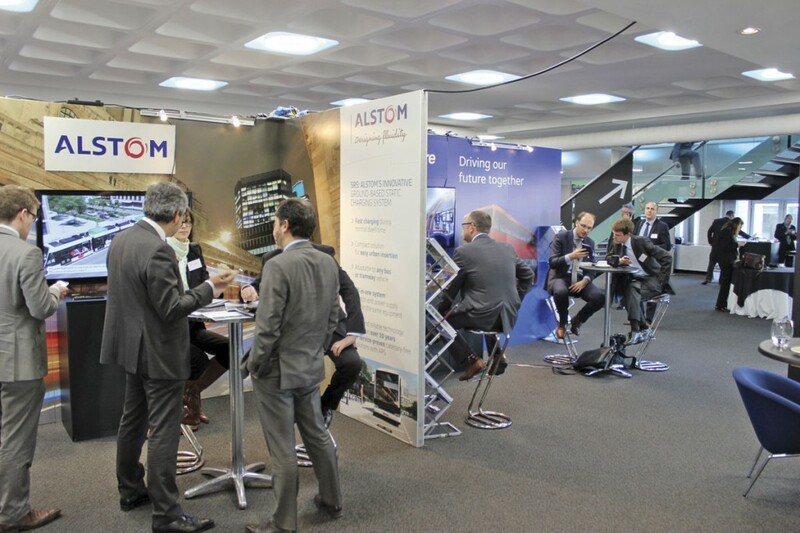 There was an array of trade stands in addition to the sponsors: Transaid, Low CVP, Giro, Transport Times, Alstom, VL Test Systems, RSL, BYD, CILT and the Gas Bus Alliance represented. This is a well organised, high calibre conference with appropriate informed speakers and I wouldn’t hesitate to recommend it if a third is held next year. By then we might know more about what the buses bill contains. Hopefully (and I’m not holding my breath) we’ll have seen more common ground emerge between those who want franchising and the commercial sector and, despite all the distractions, the politicians and the operators will be able to focus on the threat of new technologies. It appears to me that one of the biggest benefits to those promoting the new alternative modes is that they do not have to worry about the drain on their resources that fighting these side battles represents when the battle that should be fought is against congestion.